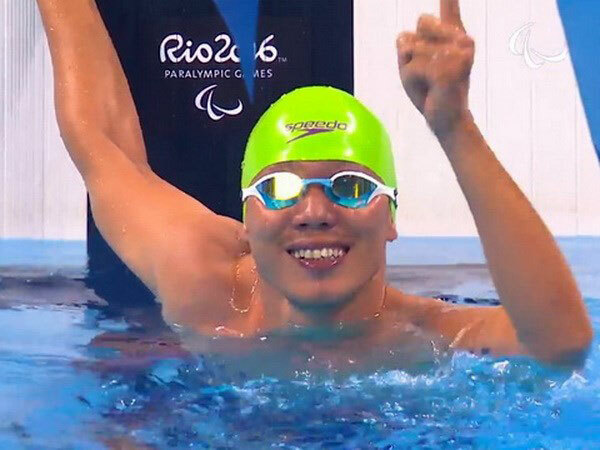 In the final of the Men’s 50m Freestyle – S5 Heat 2, Tung won silver in a time of 33.94 seconds. Brazilian athletes Daniel Dias and Roy Perkins from the US secured the gold and bronze medals, respectively. In the Men’s Javelin Throw – F57 Final, Hung won bronze, the first medal for the Vietnamese athletic team, with a throw of 42.96m. The gold and silver medals went to Khalvandi Mohammad and Heidari Til Abdollah from Iran. Tung and Hung’s medals added two more medals to Vietnam’s total, following the men’s 49kg gold medal won by powerlifter Le Van Cong, and the women’s 50kg bronze one of Cong’s teammate Dang Thi Linh Phuong. Vietnam is now at the 38th place in the medal tally./.